Check out the 4th Annual Snoqualmie SIPFEST in Downtown Historic Snoqualmie on June 22nd. 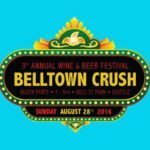 This fun popular summer event will feature 14 wineries, 2 breweries, 2 cideries, local restaurants and live music! 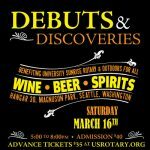 Join us for this 12th Annual event where enthusiasts get to discover and taste all things NEW: New releases from your local favorites as well as Debuts from the newest NW Wineries, Distilleries, Cideries, & Breweries!